Inspired by my love of patchwork, the glorious range of patterns and tonal colours in the French Roses Collection made selecting 11 papers and ephemera for my card a delight. After cutting pieces to the desired size, construction and placement came easy. 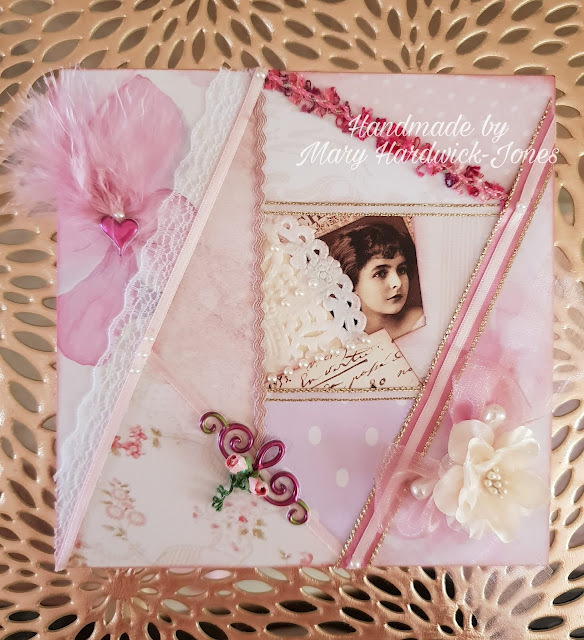 The pink hues all blend nicely creating an overall eye-catching design. Inking around all edges in a complimenting pink ink also adds interest and frames each piece. Then came the part I love the best - embellishing! 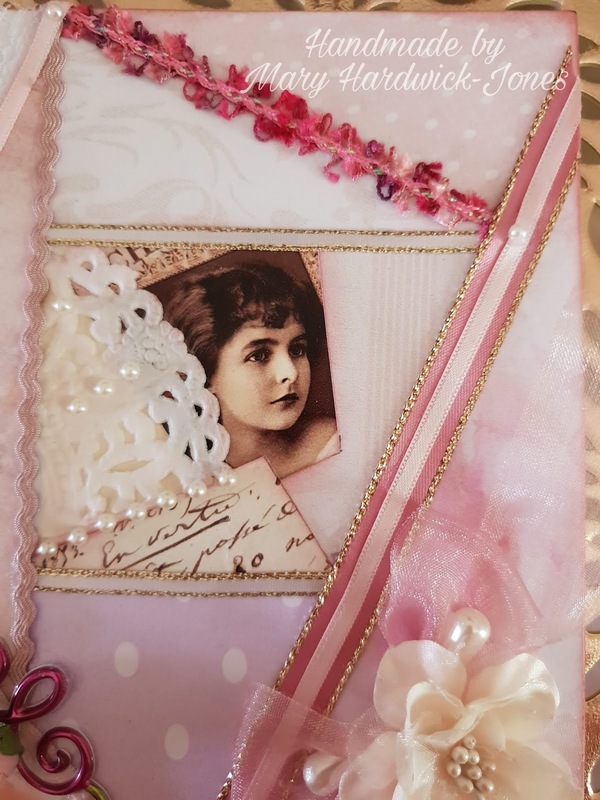 Finishing off the card with delicate ribbons, flowers, and pearls which coordinate so perfectly with the French Roses Collection, and adding gold highlights to accentuate the vintage tones in the Cut & Create images. 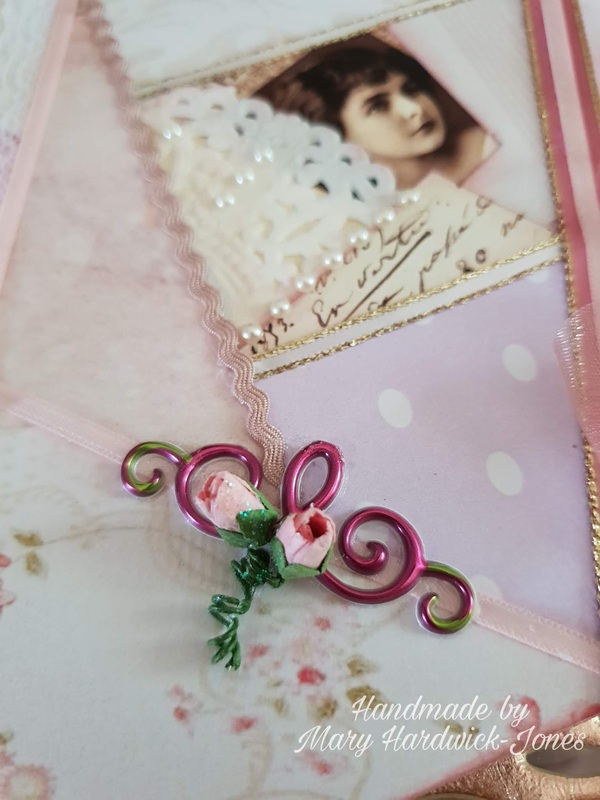 Creating something so intricate with ease could only be possible because of the extensive range of the French Roses Collection and embellishments in Meg's Shop.